Your lighting choices have an effect on your future; they can affect your finances and the environment as well. Some people choose their lighting fixtures mostly based on aesthetic appeal. However, choosing wisely takes more than just considering the kind of illumination these bulbs provide. Functionality is one of the things you need to consider. Just how much light do you need in a particular room in your house? You might think about economizing and just installing a single bulb in a room. Perhaps what you might not correlate to your bad lighting choice is your inability to concentrate on the things you have to do in that room. It is also highly likely that you will feel down while you are in that room. When you consider the effects of lighting on your productivity and efficiency, you will realize that you really are not economizing by going for cheap incandescent light bulbs or by using less lighting than you actually need. The amount of savings that you enjoy with energy efficient lighting choices is more evident when it comes to your utility bills. No one can dispute that using compact fluorescent light or halogen lights result in lower monthly charges. This is basically because they consume less power. Interestingly, incandescent light bulbs consume more energy than it requires to give off light. Industry studies show that CFLs are 75% more energy efficient than old light bulbs. The result is a considerable drop in the monthly energy bills. If you choose to switch to more expensive LED lighting options, you can even enjoy more in savings. It would be a wise move to plan your home lighting needs properly too. You can consult an expert about this; your trusty electrician or contractor can give you the advice that you need when it comes to your lighting needs. You will need to measure the space that you need to provide lighting for and then come up with a lighting plan that provides the right lighting in the right places. 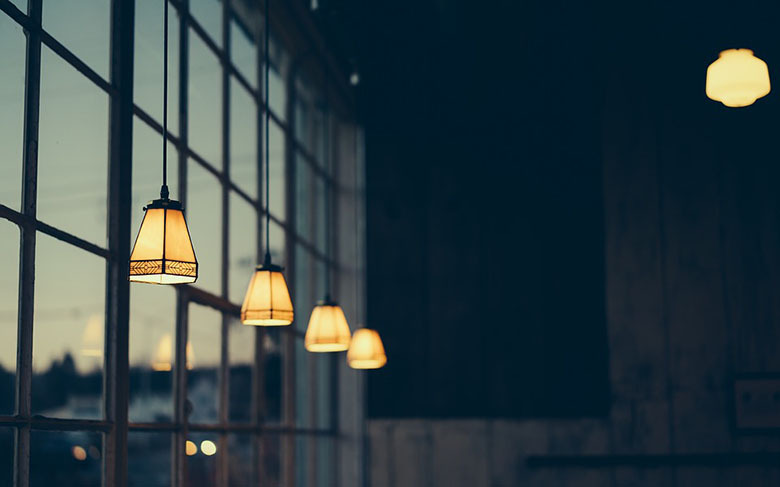 For rooms with variable lighting needs, you might have to consider a combination of lighting options or perhaps a bulb with a dimmer function. Choose to buy bulbs that have the Energy Star logo or are certified as energy efficient. The markings in the product as well as in the packaging of the lighting fixtures you choose will assure you that the product that you are buying has been tested and certified by the appropriate regulatory agencies. We use flourescent light to save money but I don’t like it bec its too dim. I think we should switch to led.